Wed, Jan 23, 2019, 11:34 am SL Time, ColomboPage News Desk, Sri Lanka. Jan 23, Colombo: Sri Lanka's Prime Minister Rani Wickremesinghe says the new political alliance National Democratic Front led by the United National Party will be established within the next two weeks. He said that other political parties also have an opportunity to join this broader alliance in the future. 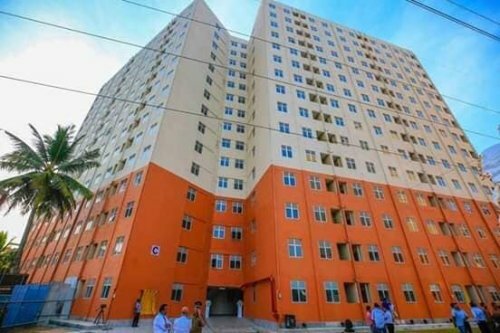 Speaking at a ceremony held to handover 266 houses under the 2nd phase of the 'Siyapath Sevana' Housing Scheme in Dematagoda yesterday (22), the Premier said he has no intention of dividing the country as his opponents claim. "My opponents are accusing me of trying to divide the country. I will never divide this country," the Prime Minister said. The Premier noted that certain factions are spreading false rumors claiming the government is attempting to divide the country because they are envy of the development projects carried out by the UNP led government. 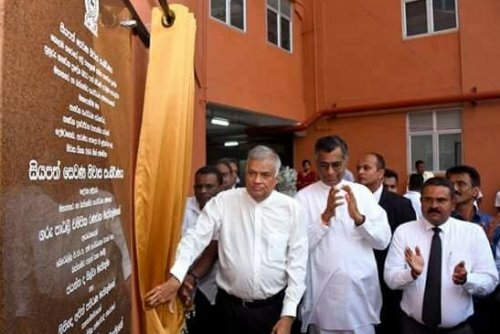 The Prime Minister said the government aims to focus its attention on converting Colombo into the central hub of the India Ocean. The Premier said he is committed to rebuilding the country by paying back the existing debts running into billions and billions of dollars. He further said the southern Colombo port will be developed and the services will be extended to the northern Colombo port and Mattala port premises. The Premier handed over 266 housing units to the recipients yesterday under the 2nd phase of Siyapath Sevana Housing project implemented at a cost of Rs. 1.064 billion. Earlier 437 housing units were handed over to low income families under the first phase of this project. Addressing the gathering Minister Patali Champika Ranawaka said 9,889 housing units have been built in Colombo for the benefit of low income families from 1958 to 2014. But the present government was able to build 15,799 houses by 2019. He said plans have been made to construct 25,000 housing units by the year 2020 and the objective is to entirely rid the Colombo city of shanties by the year 2025. The Minister also said effective measures have been taken to control flood situation inside Colombo city. Mayor of the Colombo Municipal Council Mrs. Rosy Senanayake and several officials also participated in the occasion.